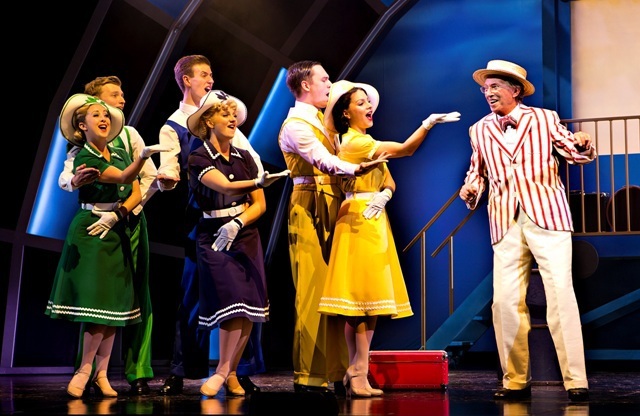 British music legend Tommy Steele stars in the touring version of The Glenn Miller Story that plays Malvern Festival Theatre from September 20 to 24, 2016. 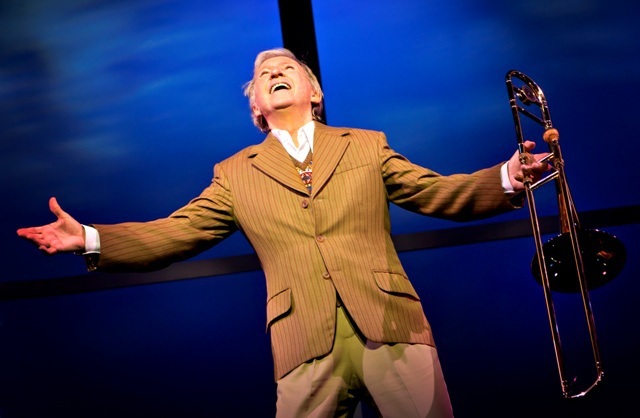 Directed by Bill Kenwright and Bob Tomson, who have previously helmed Blood Brothers, Evita, and Jesus Christ Superstar, the show tells the tale of the iconic wartime band leader who vanished over the English Channel as he flew to Paris to entertain the troops in 1944. 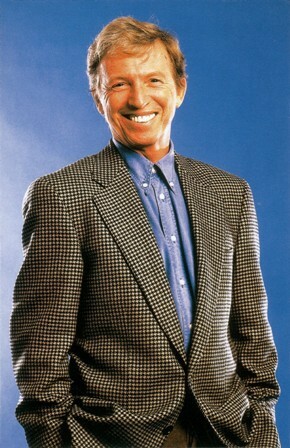 Tommy Steele was Britain's first rock 'n' roll star. Dubbed the UK's answer to Elvis Presley, he landed his first UK number one with Singing the Blues in January 1957. His career includes over 20 hit singles, 12 hit movies and stage musicals such as Half a Sixpence and Singin' in the Rain. He has headlined more performances at the London Palladium than any other star. He celebrates his 80th birthday on December 17, 2016 – but continues to enjoy life as a touring performer. 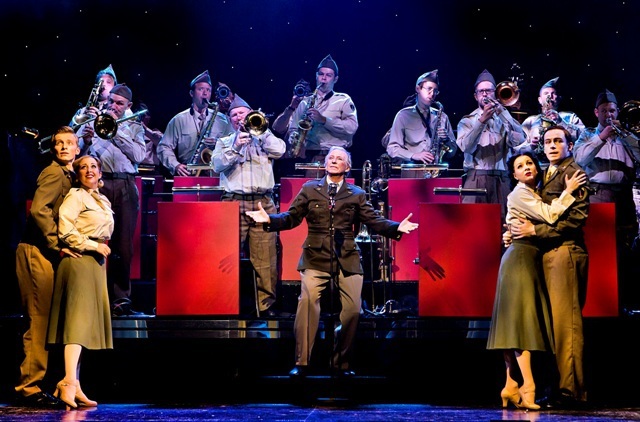 Weekend Notes reviewed The Glenn Miller Story earlier in the tour at Birmingham's New Alexandra Theatre and Tommy shared his thoughts about the production. Tell me about how The Glenn Miller Story came to be and who had the idea. It all started after I gave a lecture to some secondary school pupils about rock 'n' roll and country music. This little girl, who was probably about 12, asked me what it was like to sing with Glenn Miller, to which I laughed and said, "I'm not that old!" I told this story to my friend Bill Kenwright and he said, "That's it... The Glenn Miller Story, we can do a stage musical about it." When I asked him who would be playing Glenn Miller, he said, "You are." Despite my protests that I am a pensioner and English, and Glenn Miller was young and American, Bill insisted and said, "It calls for a song and dance man – you." I said, "Bill, I'm too old to play Glenn Miller." To which he replied, "Tommy, you're never too old." So he ended up talking me into it! Is it the role of a lifetime for you? Glenn Miller is my idol. I was taken by my parents to see him when I was a little boy. I was a kid during the Blitz, the bombs were dropping everywhere and in 1942 the Americans came into the war. I was only four and all of a sudden, over American Forces Network, came this music and the news that Glenn Miller's coming to England. My mum and dad were thrilled. My dad took me to the Albert Hall to see him. Today, all I can remember is this wonderful sound and then came the mystery of his death. It's a great story. Glenn Miller was a man searching for the perfect sound and I loved that whole tale of him being so meticulous about his music. When you add that to the tragedy, you have all the material for a musical theatre show. It's an adventure in music you won't stop tapping to. It's a show about a man looking for a sound, then finding it. And it is a fully blown song and dance musical, with a big orchestra. It's got a wonderful 'taste' to it, that's all I can say. But this is not a concert, it's a musical. People ask, "Are you going to be conducting the band?" I start it as me at 79, and get younger. I am Glenn Miller. The film is iconic, wonderful, lovely. James Stewart played him when he was 60. Age doesn't matter as much in theatre as it does in film – people break out into song and dance, and that's not real, so anything can happen. It's a great example of music from the swing era, when he started out in the '30s, and it works beautifully. Are you a perfectionist when it come to your craft? I think to be a perfectionist you have to know what perfection is. I'm always searching for things to be better. In my business, someone gives you a script, and you read the script, then someone gives you a score, so you read the score. Then you go to rehearsals and sometimes it's nothing like you imagined it. Because a director comes in to it, a choreographer comes into it, a designer comes into it. Then the next thing you know, you're asking, "Can we try this, and can we try that?" and in the end you drive yourself mad! How do you find touring; isn't it exhausting? It's never that strenuous when you're in a great show and you can't wait to sing the songs and do the dances. I can't really explain it but you walk on stage, do two and a half hours and you've got an audience listening; you can't be luckier than that, can you? I have as much fun going from here to Manchester as I do from going to my house to the Palladium every day, it's the excitement of going to the theatre. When you go out on tour and start going north, south, east and west of London there are loads of great theatres out there and the people in those towns, they want to see great shows but they don't get them because it costs a lot of money to travel them. I always say if I'm going to do a show I have to do three months first on the road because I love to get the reaction of those audiences. They can't get to London every time to see great musicals so the great musicals come to them. Harold Fielding, who I did all those great shows with, Half a Sixpence, Singin' in the Rain etc, he did it the other way, he used to say once we've done it in the West End we must do two years on the road. I tour because I want to be on the stage and I love meeting people. No plans to retire just yet then? You don't really retire from showbiz and I'm doing what I love. You can't ask for more than that, can you? And people keep paying me to work! November 1 – November 5: Sunderland Empire.